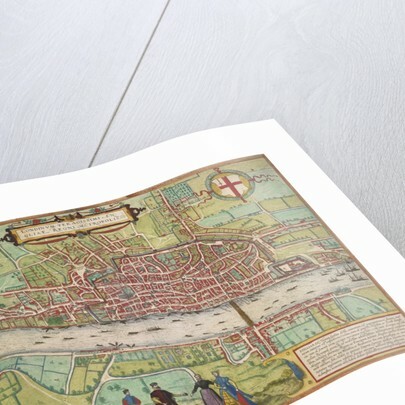 Georg Braun and and Frans Hogenberg's colourful historic map of London or 'Londinum feracissimi Angliaeregni metropolis' from Civitates Orbis Terrarum, originally published in Cologne, 1574. 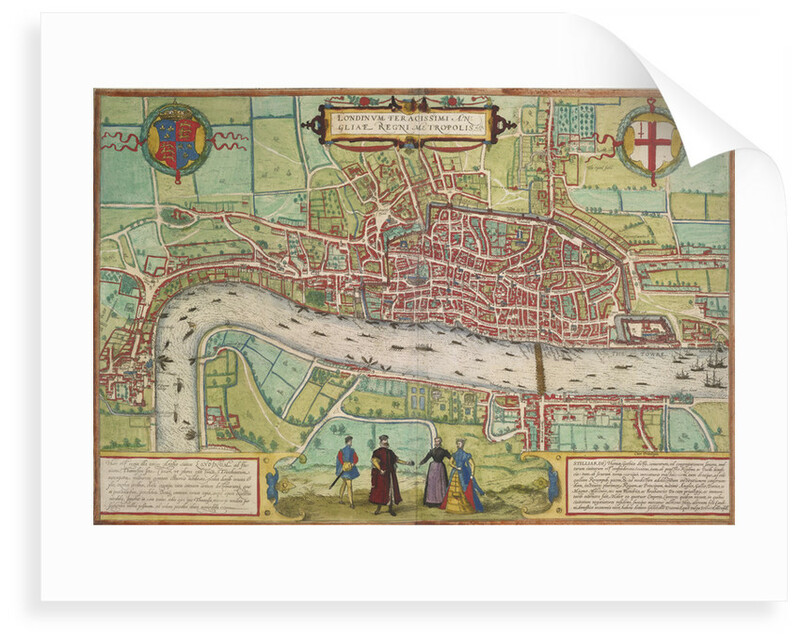 This image is a later edition, produced in 1623. 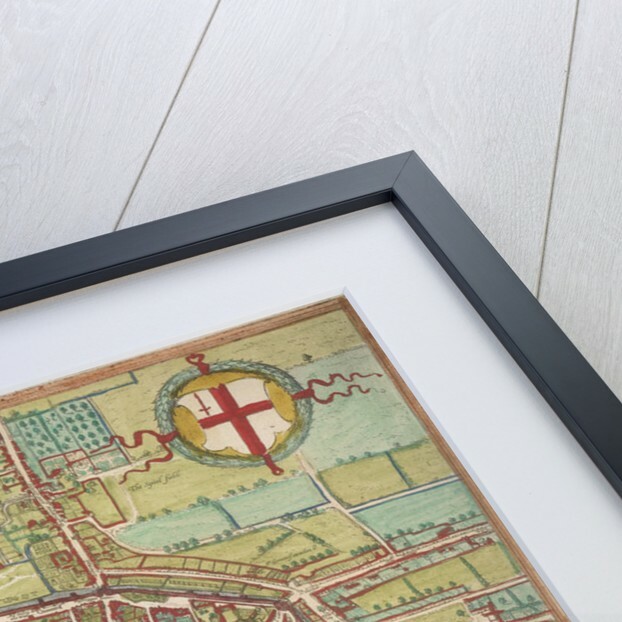 Braun and Hogenberg's fascinating historic map shows key locations in London including 'The Towre', 'South Wark', 'Lamberth', 'Blak Frers, 'The Temple', 'Moor Gate', The Spitel fields' and Somerset Place. More by the artist Georg Braun. 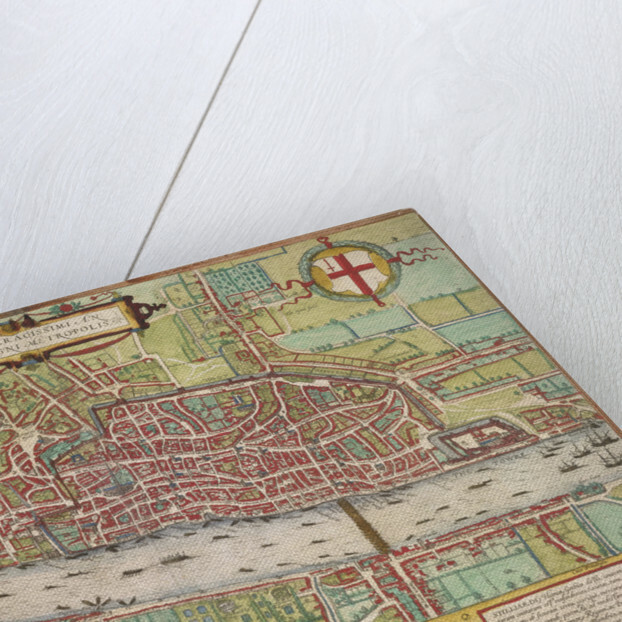 Explore the collections Bestsellers, Maps.